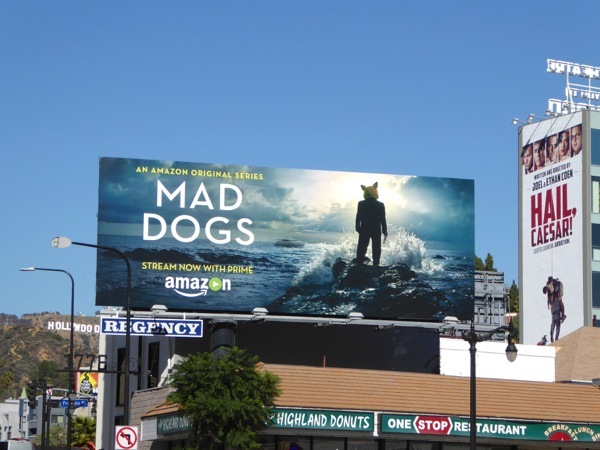 Amazon Studios continues to produce compelling new shows for its streaming subscription service and to fill L.A.'s skies with interesting visuals. 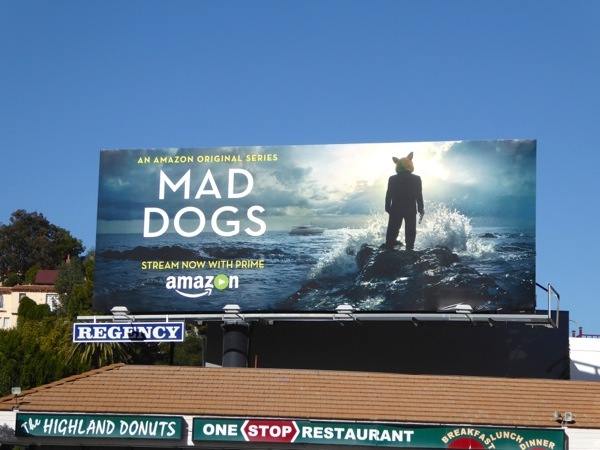 This time it's a U.S. remake of the British series of the same name, Mad Dogs, which originally starred Max Beesley, John Simm and Ben Chaplin and followed the reunion of old school friends with a member of their gang (Chaplin) that now lives in Mallorca, Spain. This new version (also starring Chaplin, but in a different role this time) follows a similar tale, with a forty-something gang of guys traveling to Belize in Central America to see an old friend, when their wild fun takes a decidedly dark and deadly turn. This ad creative with a man in a suit with an animal head standing on the rocks amidst crashing waves is ever so slightly surreal and certainly dramatic, just what you need to turn heads. 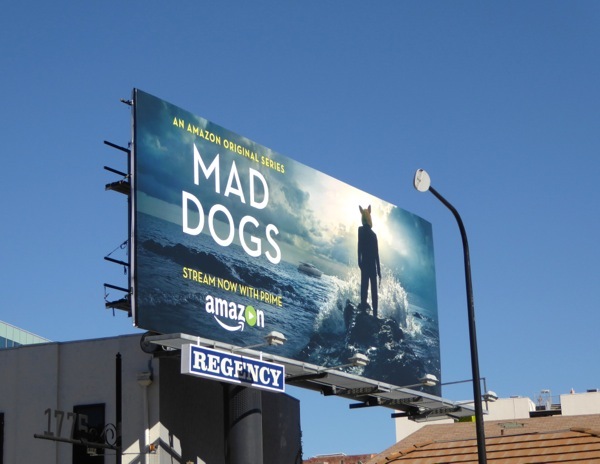 Amazon's Mad Dogs billboard was snapped along Highland Avenue in Hollywood on February 8, 2016. 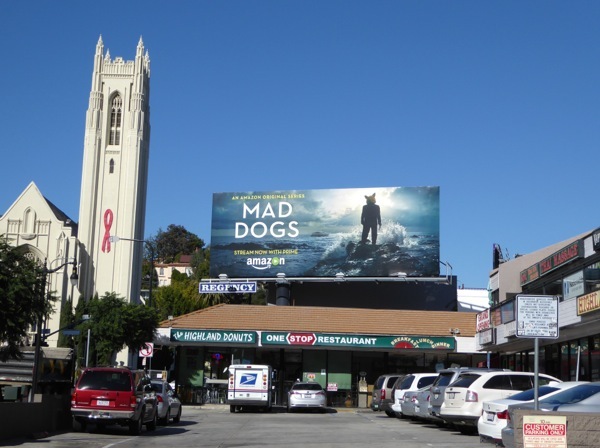 If you haven't checked out any of their original series yet, be sure to take a look at these billboards for The Man in the High Castle, these Transparent billboards and Mozart in the Jungle billboards to inspire you.